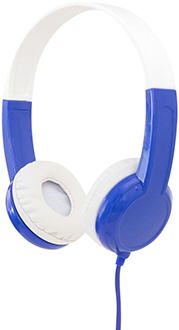 Kid-proof and kid-friendly, these durable headphones let kids share audio with friends and listen at a safe level. A built-in, always on, sound control circuit caps the volume at 85 decibels, the level recommended for kids by the World Health Organization. BuddyPhones are kid-proof. They’re crafted from durable materials and are made to be bent, twisted and dropped. The exclusive BuddyCables feature a built-in audio splitter that allows up to four cables to connect to the same device. Kids can personalize their headphones with the included sticker sets that feature colorful, original designs. 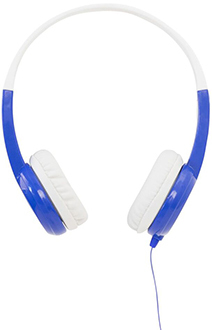 Find out why these headphones are perfect for kids.